Extract from the ἐπίλογος of my forthcoming translation of the Gospel Of John. 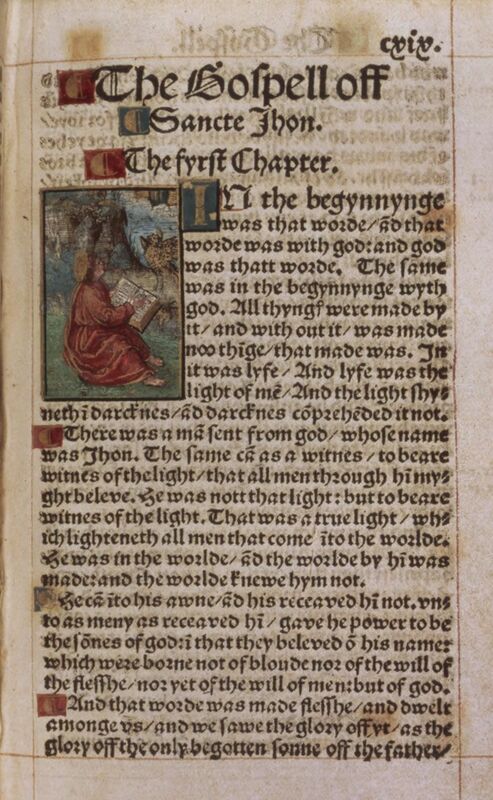 Vernacular translations are, by the nature of translation, interpretations, with the history of vernacular translations of the Bible – and especially of the Gospels – revealing how such interpretations could be used to support schisms; for example, in the case of Wycliffe’s English, the Lollards, and in the case of Luther’s German, the Protestant reformation. In addition, some translations enriched the vernacular language itself, as for example, the translations of Tyndale and the King James Bible did in respect of English. My own interpretation of the Gospel of John is not intended to be schismatic but rather to be unfamiliar, with such unfamiliarity hopefully betaking some readers to the unfamiliar milieu of an ancient Judaea governed as it was by Rome and abode as it was of those Judaeans who believed in a Messias/Messiah, with it being written in the first chapter of the Gospel of John that in, reference to Jesus, Andrew – the brother of Simon Peter – announced: εὑρήκαμεν τὸν Μεσσίαν (we have found the Messias). My interpretation is intended to be unfamiliar for several reasons. 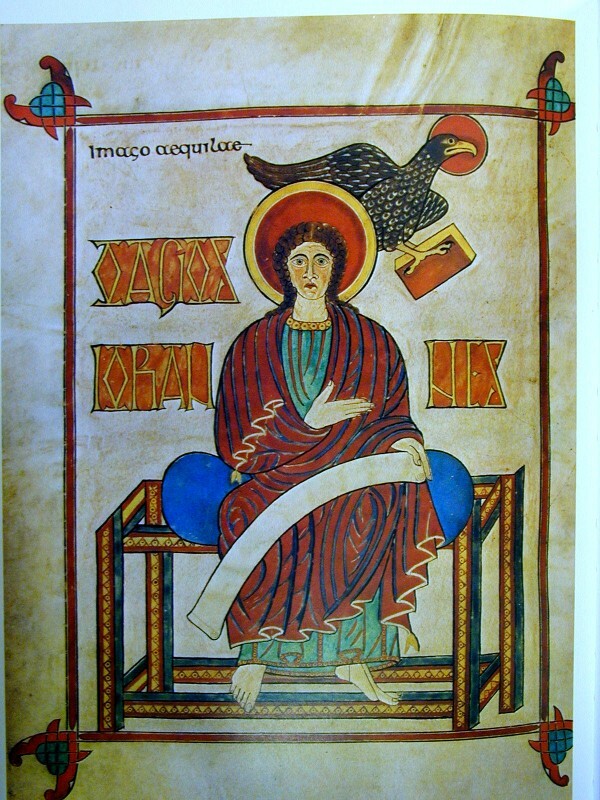 Firstly, because the Gospels were written in Hellenistic (Koine, κοινὴ) Greek, with the author of the Gospel of John by including colloquial Greek sayings and offering explanations for some particular terms  indicating that his intended or actual audience – those reading or hearing his Gospel in late first century and early second century CE – were most probably native speakers of Hellenistic Greek or at least quite familiar with that language. Intended to be unfamiliar secondly because the standard English versions of the Gospel of John – and English versions of the other Gospels – have become so familiar to so many people in the West over so many centuries that certain words and terms have acquired particular meanings, with those meanings and certain passages – via iconography, exegesis, and preaching – assuming archetypal status. Hence, and to provide just some examples, our assumptions about God (theos), about ‘angels’ (τοὺς ἀγγέλους τοῦ θεοῦ), about Heaven (οὐρανός), about sin (ἁμαρτία) and about ‘the Holy Spirit’ (τὸ πνεῦμα). An interpretation intended to be unfamiliar, thirdly, because the Gospels were written at a time when Christianity was, in the lands of the Roman Empire, one small religious sect among many others and had yet to develope a standardized doctrinal theology or a centralized ecclesiastical authority, with the Gospel of John not providing any theological explanation of what is meant by theos, by τοὺς ἀγγέλους τοῦ θεοῦ, by οὐρανός, by ἁμαρτία, by τὸ πνεῦμα, and by many other terms. Thus, there is a natural tendency for us to project medieval, Renaissance, and modern meanings onto such terms with the inevitable consequence of us assuming that we understand the message of the Evangelist and thus comprehend at least something of Christianity itself. Are we betaken to an unfamiliar milieu where, having read or listened to the evangel attributed to John from familiar translations, we believe we may know something about such things as Heaven (οὐρανός, Empyrean) and the Spirit (τὸ πνεῦμα, the Spiritus) but now may have some doubts about their meaning and doubts about how they may relate to the Light (φῶς, Phaos) and thus to a man named Jesus? Are such doubts relevant or perhaps even necessary given that the emphasis in the Gospel seems to be on individuals trusting in the person of Jesus after they had accepted that the narrated signs (σημεῖᾰ) – such as the Passion, the death and resurrection of Jesus, and his Ascension – indicate that he may well be the only begotten Son of Theos so that, by trusting in him, we have the opportunity of life everlasting? Such were some of the questions I pondered when a Christian monk, and my fallible interpretation of the Gospel of John, founded on some forty years of reflection and study, is my fallible attempt to find some answers. Qv. my comments on 1.42 and 1.51. Nota Bene: As this translation and commentary is a work in progress, it will be updated as and when newly translated verses are available and is subject to revision. I have also included the Greek text (NA28) of vv.1-19 of chapter one so that those conversant with New Testament Greek can compare my translation of those verses to that text.